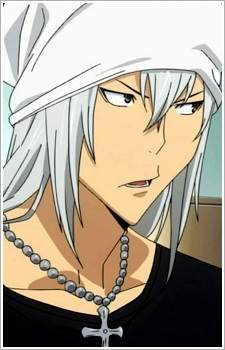 Fukuda is a main supporting character in Bakuman and the founder of Team Fukuda. He left home after high school and worked as an assistant to Eiji Niizuma for Crow, along with Mashiro. Fukuda had already won an honorable mention when he tried for the Tezuka Award and also got seventh place in the same issue of Akamaru Jump in which where Ashirogi's Money and Intelligence ran and got third place. Later, Fukuda competed with Ashirogi and Nakai in the Golden Future cup with his original manga, Kiyoshi Knight. Later, Fukuda successfully serializes Kiyoshi Knight, quits his job as Niizuma's assistant, and gains a new assistant named Yasuoka. His editor is Yujiro. With the serialization of Kiyoshi Knight, Fukuda became an aspiring rival to Ashirogi, Eiji, and Nakai. Among these three, he is considered to have the worst drawings, though they apparently match his stories. His drawings often border on grotesque. Fukuda is rash and often seems fueled by his emotional swings. He's very competitive, and enjoys the competition between him, Ashirogi, Eiji, and Nakai. Along with all of this, he's also rather conceited, but at the end of the day is a very good friend (and rival). Despite the relative longevity of Kiyoshi Knight, Fukuda is unsatisfied with the series and concludes it, starting Road Racer GIRI to compete with his rivals. Road Racer GIRI gets off to a good start as soon as it is released, though Fukuda frequently remarks that he needs to get people who wouldn't "draw such crappy bikes". Fukuda's Road Racer GIRI ranks higher than Ashirogi's PCP on several occasions, maintaining a high ranking that is able to compete with and surpass Niizuma's +Natural. After the Love Fest, in which Fukuda is angry at placing second to last out of seven for his love manga, GIRI receives an anime offer, stunning Fukuda and causing him to gratefully thank Yujiro with formalities.